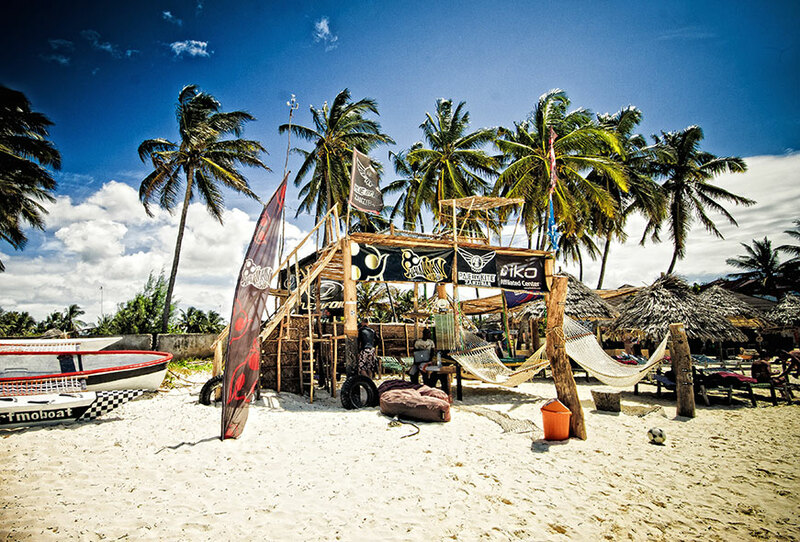 Paje is known as the "Pearl of Zanzibar" and is one of THE world-class kitesurfing spots. Vast white sandy beaches and beautiful turquoise water, it is home to one of the most beautiful beaches in the world. Paje has a lot fewer tourists than the North of the island, but it still has plenty going on in the evenings. The majority of tourists that go to Paje are mainly there for kitesurfing, so the town itself feels a lot more traditional and less 'touristy'. Zanzibar is a magical place, the locals are humble and honest, and the white sand is finer than I've had ever felt anywhere else! There are two seasons in Paje; the first is from mid-December until February. This season is known as the Kaskazi, and it blows from the North at around 12-25 knots. The second season is from May until October, and it is known as the Kuzi. The Kuzi winds tend to be calmer in the morning and get stronger after lunch time. During the December to April season, Paje will get anticyclones from the Indian Ocean which can send some decent swell, and that’s when all sorts of surf spots start to come alive! When it's an offshore day, you have wave breaks! The reef in Zanzibar is not as vicious as some other tropical islands surf spots. You do need to keep an eye out for sea urchins though. Dolphins and turtles are seen regularly along the coastline and often join you for a surf session. The tide in Paje dramatically changes the spot throughout the day, with low tides emptying the inner lagoon and sending kiters to the outer lagoon and sandbanks. The inner and outer lagoon offer perfect flat water, knee deep conditions at their different tide states. The high tide sessions offer mild chop and some kickers for a little freestyle. You need to keep an eye out for the seaweed farms; they can easily be crossed at mid/high tide but be careful! If you're staying in Paje itself; you will get around on foot! Everything is walking distance from the beach side. If you want to venture out of Paje and check out different parts of the island (including the capital, Stone Town), your cheapest way is the dala-dala. It costs about $1.5 per person to get to Stone Town to the north, east or south coast. Shared taxis operate from Stone Town for $10 per person. Regular taxis to Stone Town or any coastal area in Zanzibar are USD50 (minibus taxis accommodate up to 6 people). The dala-dala is the most entertaining and exploratory way to get around; it will be an experience you will not forget. If you are staying in a hotel, there will be a restaurant offering a diverse menu of anything from western cuisine to exotic fruit platters. Fresh fruit is abundant on the island - strongly recommended as a snack to stay hydrated in the heat! If you walk in the town in Paje, you will find numerous little fruit/vegetable carts around. Being right on the Indian Ocean, the seafood is delicious but can be pricey even at some of the local restaurants so shop around before deciding where to dine. Every evening there is a food market set up at the beach which can be the best place to try some of the local seafood and delicacies. If you are keen to try the proper local food, I would suggest you walk in the town in the evening and explore the distinctive and delightful Zanzibari cuisine. The community is small in Paje, and all the kitesurfing stations are relatively close to each other. There will always be a party that can be found up and down the beach. Check out Jambos, Paje by Night and Teddy's place. If you are seeking somewhere in Stone Town, you'll find a variety of good restaurants, bars, and clubs. The clubs are relatively inexpensive, and the bars serve cheap beer. Reggae is the preferred music in Zanzibar, but many of the clubs and beach bars play a variety of genres of music. There is plenty to do on the island when there is no wind! SUP is very popular, and SUP downwinders and tours are through the kitesurfing/surfing centres. Diving/Snorkelling are also top of the 'no wind' list, the marine life around Paje is stunning, and there is a big chance of spotting dolphins as well as humpback whales. Jozani Forest is also something you want to experience. Home to one of the last remaining Red Colobus monkey sanctuaries in the world. The forest is 6,207 acres in size and was declared a nature reserve in the 1960′s — a breathtaking forest with so much history. You will get a real rush if you are a photographer! Local superstition believes that leopards used to be sent from the forest by witches to feed on the local villagers. This was more recent than you'd think only dating back to the 1960s when the government stepped in to cull all leopards on the island. Zoologists now assume them to be extinct in the area. However, there is still a myth that a leopard feeds there at night - perhaps that's why the forest closes at sunset. There is free wifi in most of the hotels in Paje. If you are not staying in one of the bigger hotels, you can always pop in for a drink and log in to their wifi. For accommodation, you'll find everything from super luxurious 5* hotels, boutique hotels, bungalows, Air BnB and holiday home rentals! Depending on your budget you will find something that suits your needs. Setting up for a session! Been to Paje? What did you think? Where are the Best Kitesurfing Beaches in Paje? 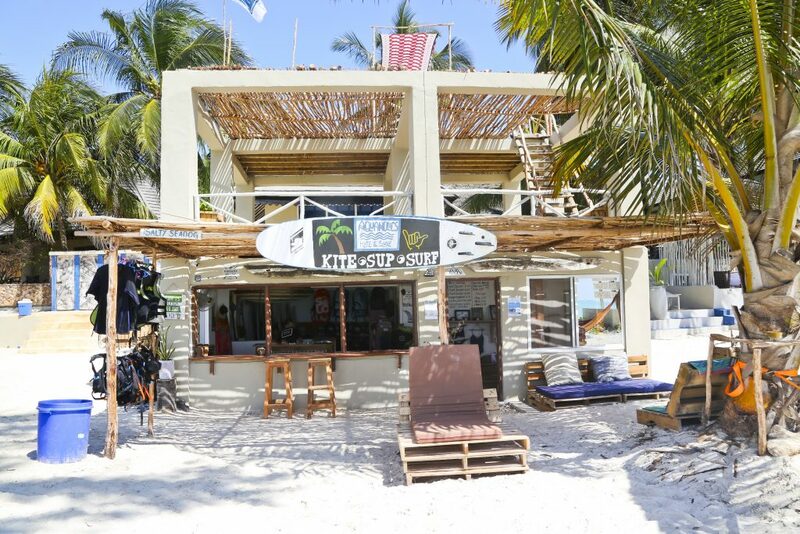 We want to welcome you to follow your passion and kitesurf, surf and enjoy the ocean with us. Our little paradise island of Zanzibar is precisely what you imagine for a tropical kitesurf destination. Learn to kite in a world-class flat-water spot or work on your surfing skills in a guaranteed uncrowded place. Our IKO or VDWS certified kite instructors, and experienced surf guides would ensure a great kitesurf experience for you. 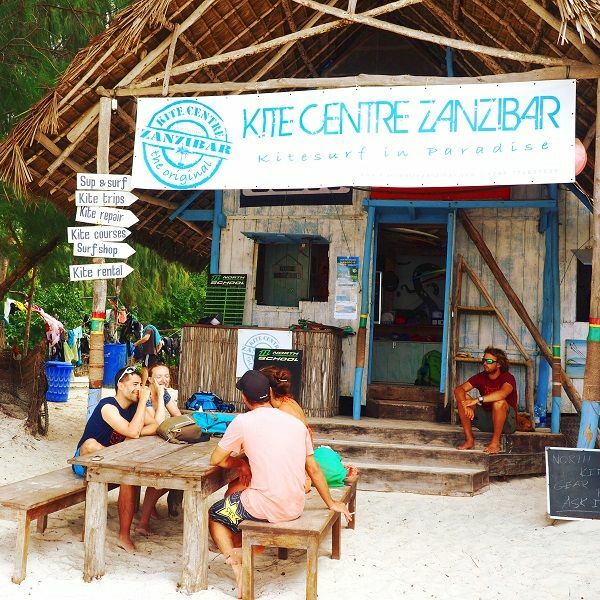 The perfect association of this extreme sport, the laid-back atmosphere and a bunch of enthusiastic friends inspired us to build one of Zanzibar‘s most attractive, fully stocked kite centre offering lessons, rental, storage and a shop with equipment and accessories. IKO-certified instructors will lead you through the standard beginner and refresher course and teach strapless and freestyle clinics for those wishing to learn to jump, make their first backroll, un-hook, all the way through to nailing those passes. 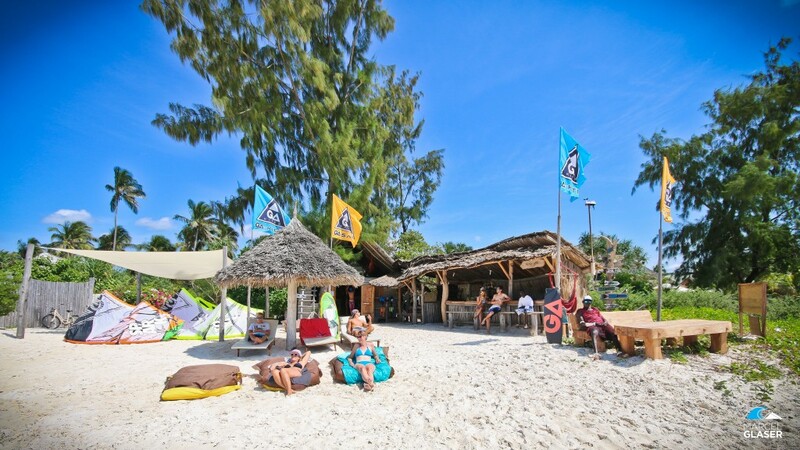 Kite Centre Zanzibar on Paje Beach is set against a stunning background of the endless blue Indian Ocean, beautiful white beaches and an African village, where the pace of life hasn’t changed for over fifty years. The reef is far off-shore, with ample flat water, perfect for beginners and freestylers. The reef itself offers fantastic waves for the more experienced kitesurfer. The people are curious, friendly and welcoming, but most of all they teach us what we in the fast western world lost a long time ago: Hakuna Matata (no problem in Swahili) and Pole Pole (take it slow). Therefore we believe Zanzibar is a truly unique place in the world. Combine this fantastic sport with relaxing and discovering the raw beauty of this relatively untouched island. We cannot wait to teach you this fantastic sport and share our knowledge of these waters and surroundings with you!!! Learn and practice kiteboarding in the optimal conditions: flat lagoon water, quiet beach and a high standard service paired with the latest equipment. We focus on safety and quality so that you can fully experience the joy of kitesurfing. When is the Best Time to go Kitesurfing in Paje?